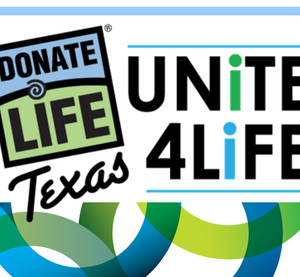 Here it is – an easy way to encourage others to join the Donate Life Texas donor registry! DLT’s Unite 4 Life Program offers turn-key resources with everything you need to host a registration campaign, including the ability to create your own donor registration page on our website. You’ll also find education and ideas to help you advocate for donation. Registration pages can be created to give people a way to register in honor or memory of someone special or to make registering quick and easy at your school, place of worship or workplace. And, DLT will be there every step of the way to provide as much guidance and support as you wish. Campaign Creator tool – set up your own DLT donor registration campaign page and track results.